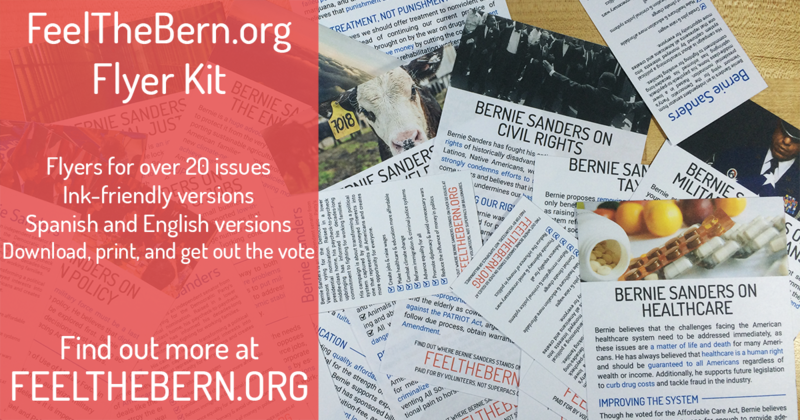 change this text to get plugin to update abxdfgdfgdfCustomize and download an easy-to-print flyer kit and spread the word about Bernie across the nation! Select from over 20 beautifully designed flyers in English and Spanish with an option for ink-friendly versions. Your complete flyer kit includes printing and flyering instructions. If you are using Safari, you won't be able to download a custom kit, but you can download the complete kit instead! Thanks for downloading! Click to learn more about Bernie's stances on the issues.